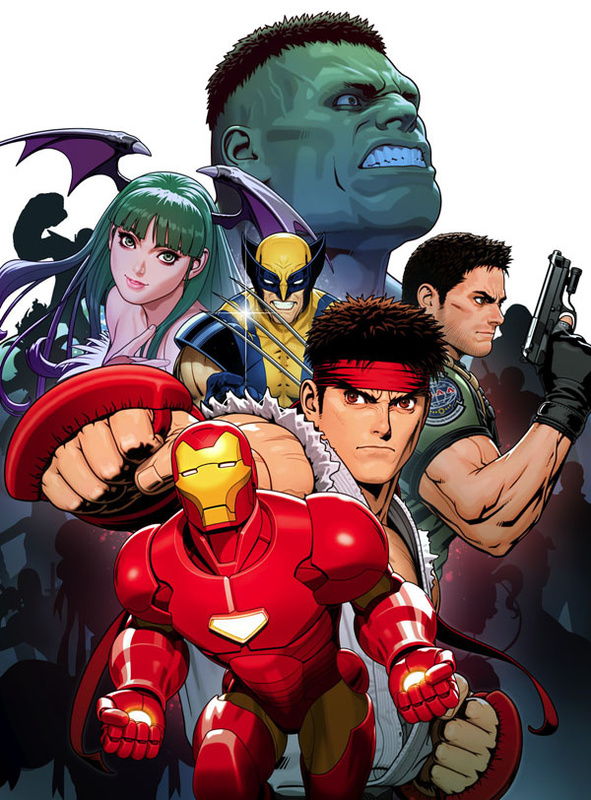 During E3, Joystiq had a few words with Marvel vs Capcom 3 producer Ryota Niitsuma about the upcoming game and the Vs. series in general, leading to a few probes about why the Wii was left out. According to Niitsuma, Capcom just wants to spread the fight love. Well, [after Tatsunoko vs. Capcom], we felt now it's time to do a Vs game on Xbox 360 and PS3. It was just a matter of deciding we wanted to work with those consoles. There's no mindset, personally, within Capcom where we want to go out of our way to avoid Wii or do it only on Wii this time. It's just the flow of development. That doesn't necessarily mean that the Wii will be entirely left out of the loop in the future, he said, but it's not their focus at the time. Well, we can't get into any specifics, but all I can is that the game we made right now, as it is, it's for Xbox 360 and PS3. We want to see how it does and maybe see where we'll take it from there. Considering the license and Capcom's fighting game pedigree, MvC3 will in all likelihood do quite well. The game is still a year off, and any potential announcement of a Wii version would most likely not be until well after that, if at all. Marvel Vs. Capcom 3 doesn't use the same engine as Tatsunoko did, instead built on the company's made-for-multiplatform MT Framework engine. In October 2009 it was reported by Japanese newspaper Nikkei Industrial that Capcom had plans to bring the engine over to Wii, but no new developments have surfaced from it yet. This game looked amazing at E3. Every time I passed by Capcom's booth, I had to stop and watch a few minutes of people playing it. I'll definitely be picking it up for my Xbox 360 when it's released next year. I don't see why this cannot be on Wii. Even if they don't adapt MT for Wii they could certainly rework the game to use the same engine as Tatsunoko Vs. Capcom. I seriously hope that Dr. Strange will be in the game (since Dormammu is in it would be criminal to leave him out - besides he knows martial arts!). It'd be more likely that we'd see a 3DS version since the new Resident Evil on 3DS runs off of the MT Framework Engine, but hey, it can happen for Wii. For some reason I believe this will be coming out for the 3DS & not the Wii. I bought Tatsunoko VS Capcom today. I don't really 'get it' yet (I'm button-mashing lols) but it's pretty awesome. Capcom... you guys brought out TATSUNOKO vs. Capcom for the Wii, it sold like hotcakes, no one knew who the heck Tatsunoko even was, and it remains one of the most played games on the platform... so what do you think would happen if Marvel vs. Capcom 3 came out for the Wii? Warning, MVC3 would significantly worse on Wii. I mean, there entire style would likely get lost unless they hired a TEV programmer. actualy, i`d love to see capcom make a cross over just featuring their in house brands. somrthing like dark stalkers vs rival schools vs street fighter, would be pretty cool. No thanks. Getting it for PS3. TvC was built for the Wii which is why it was good. MvC3 would be a watered down port. Wii ports = terribly bad compared to the originals. Well, I'm Glad to hear that Most of you really did Play Tatsunoko vs Capcom, (or TvC for short). I love playing TvC, It made me a Fan a big Fan of Street Fighter, and I had to get Super Street Fighter 4 for my 360, and i love that too. But, If MvC3 is Coming to the Wii, it will be down Graded to run the game. But Wii owners who don't have a 360/PS3 will be sad if they can't get it. This is one Game, that took 10 Years in the making, that you don't want to miss. other then that, I know most people here in NL, can't beat me in any type of Street Fighter game if they Try. im glad im not back at wiichat. If this article came up you'd get so much "but teh Wii graphx is fail, cant run marvel vs. capcom, its ps2 graphx." It is not coming to wii. Just like lost planet, bionic commando (retail and download), mvc2, dark void, and re5. Just get another system to play it when it comes out. I am getting the ps3 version. The 3DS is not even out yet and I'm all ready sick of it, I want this on the Wii. The only advantage of having this on the Wii is that you would get to use the 'handle-less' classic controller which imo beats the crap out of a 360 pad(especially) or dual shock for fighting games. Well, anyone "serious" enough to care about fighting games really ought to have something other than a Wii anyways... Tatsunoko vs Capcom was a fluke, really. A fantastic fluke, but a fluke nevertheless. If you only started playing Street Fighter after Tatsunoko vs Capcom, I could probably take you on. I may get a 360 just to play this game. I found an arcade deck of Marvel vs. Capcom 2, and I spent $30 in coins on that sucker. And it was worth every minute of it. That would be a nice addition to my Wii library sitting right next Tatsunoko vs. Capcom! I am not really expecting this to be on the Wii. They said the same thing about Street Fighter 4, and I don't see that on Wii yet, so no, I'm not holding my breath. I wouldn't be surprised if Resident Evil Revelations made it's way to Wii in a basic port form. It plays in the RE4/5 style after all. I will definitely be picking this up for my PS3. I am not "serious" enough to get another console just to play a fighting game, but I would still like to see this on the Wii. Sounds like a nice way of saying "not gonna happen." capcom please just fix the battle points glitch in Tatsunoko vs Capcom! I seem to remember Capcom saying something very similar about Resident Evil 5... and Street Fighter 4. [looks at watch] Third time's the charm...? Then again, due to the outcry from fans, we all got Tatsunoko Vs. Capcom outside of Japan. (Not only that, but it was a superior version with more characters and better balance.) Maybe we should try yelling at Capcom again for MVC3. phoenix wright for MvC3 wii! Maybe keep MvC3 on the 360 and PS3. I only have a Wii and thoroughly enjoyed TvC. I hope this makes it over to the Wii. Tatsunoko vs. Capcom proved that there are fans of the fighting game genre on the Wii. yea ...no ways im buyin a new system for this. not wastin money like that yeah its games on ps3 not really 360 that i want but....no way. is it just me or is hulk's face really creepy in that picture? I need this game. I didn't know Dr Strange knew Marshall Arts?